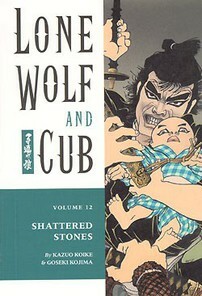 A woman driven to insanity by the murder of her child, and the horribly burned husband seeking revenge, unseen samurai under the thumb of a power-hungry woman, a beggar ronin seeking the downfall of his greedily ambitious wife, a good-for-nothing beggar willing to use a child to make easy money, a lady magician threatened by swindling gangsters: all of these people have something in common - the need to regain their honor, and this quest almost always means death. Ogami Itto, a wandering ronin on a road to vengeance, has been paid to put these folks back on that path, at any cost. For this grim samurai and his infant son, there is nothing left in this world except honor, vengeance, death, and blood. Fortunately, there's plenty of each to go around.